My Facebook feed has divided my friends into two camps: those who share petitions, encourage everyone to help and not turn their backs on people in need; and those who share articles, photos and videos about refugees’ mess and aggressive behaviour. The biggest ‘complainers’ are the smaller or less wealthy countries. People from the smaller countries relish their culture and history and are genuinely afraid about their country’s well-being. Furthermore, they don’t have the money that Germany or the UK have. 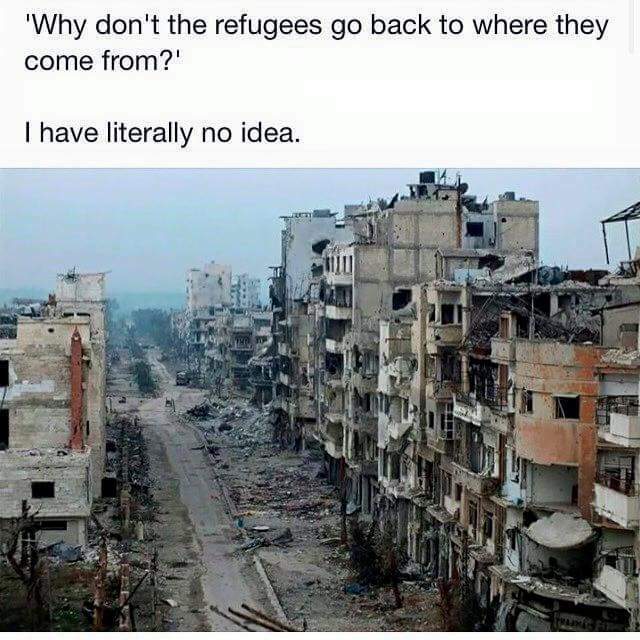 Ultimately, no matter what we say now, the refugees are coming, they are already here. The question is how do we react to it. Of course we have to be humanitarian. Of course we can’t turn our backs on families who have lost everything because of someone’s political ambitions. We have to help. But what happens to Europe when millions of people with different believes and society rules settle down? Are we all going to integrate and live in peace? Or is the history repeating itself and European Union will fall just like the Roman Empire did?